PHP can be used on all major operating systems and has support for most web servers in use today. It is a widely-used server-side scripting language that is especially suited for Web development and can be embedded into HTML. A comprehensive guide for the PHP scripting language. PHP-enabled web pages are handled the same as regular HTML pages. 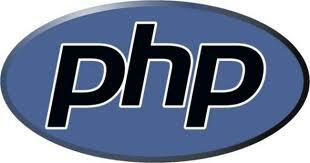 The server must provide active support for php and all PHP files must end with .php as an extension. PHP code can be imbedded in html pages and executed when the page is opened. PHP commands must be enclosed within special start and end tags. To check the php configuration settings on your server, the following phpinfo() function can be called from within a php enabled web page. Php files must be saved as plain text. For a list of text editors that work well for php, check the list available at Wikipedia, and for more complete tutorials of the PHP scripting language, check the resources below. Learn the basics of programming in PHP with Tizag.com's beginner PHP lesson. A series of informal, entertaining tutorials written by Vikram Vaswani, founder and CEO of Melonfire. This first article of a three-part series introduces PHP5's XML implementation and helps those relatively new to using XML with PHP to read, parse, and manipulate, and write a short and uncomplicated XML file using the DOM and SimpleXML in a PHP environment.